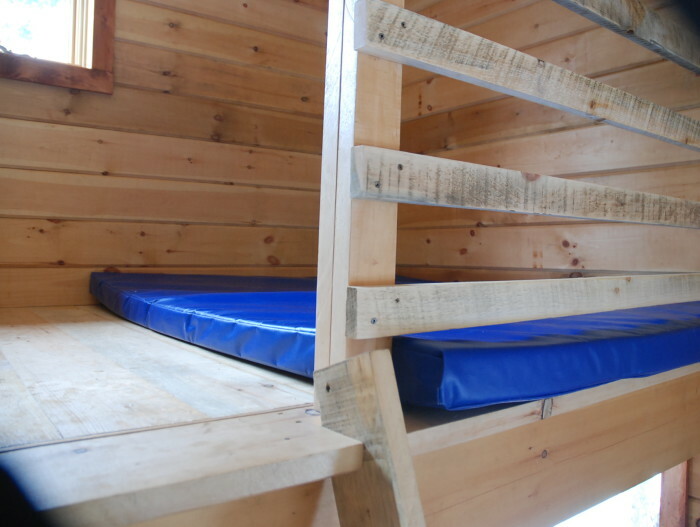 All of our shelters can be use all year long, they are rustics and are designed to be ecologic by minimizing their sizes and maximizing the living space. 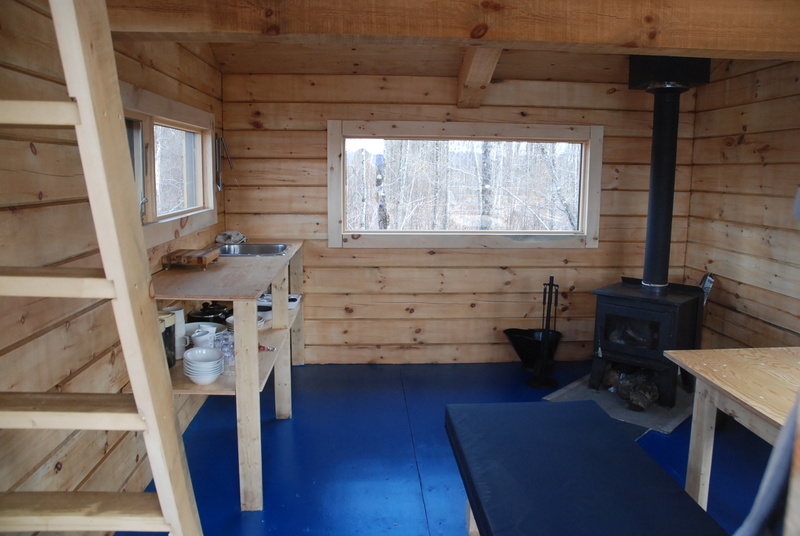 They are all equipped with solar power and a wood burning stove. 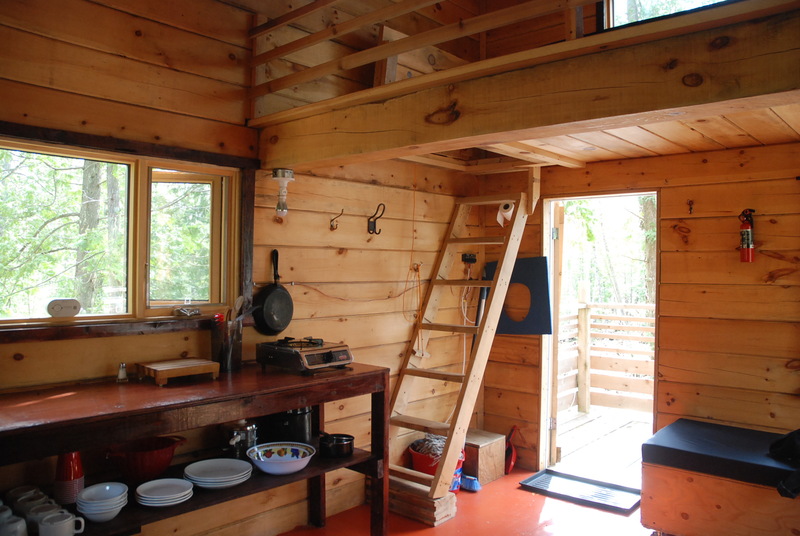 The big windows of the shelters reveals the beautiful and wild outside nature as well as letting the sun and sunlight penetrate the rooms. 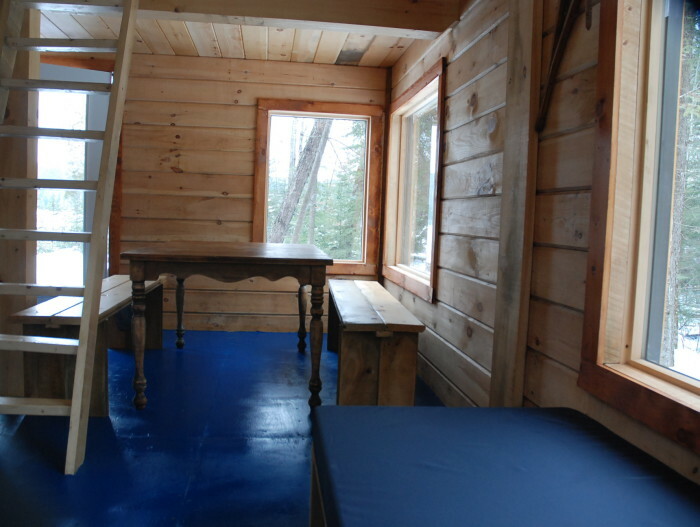 Only the rustic CHALET offers running water and a bathroom. 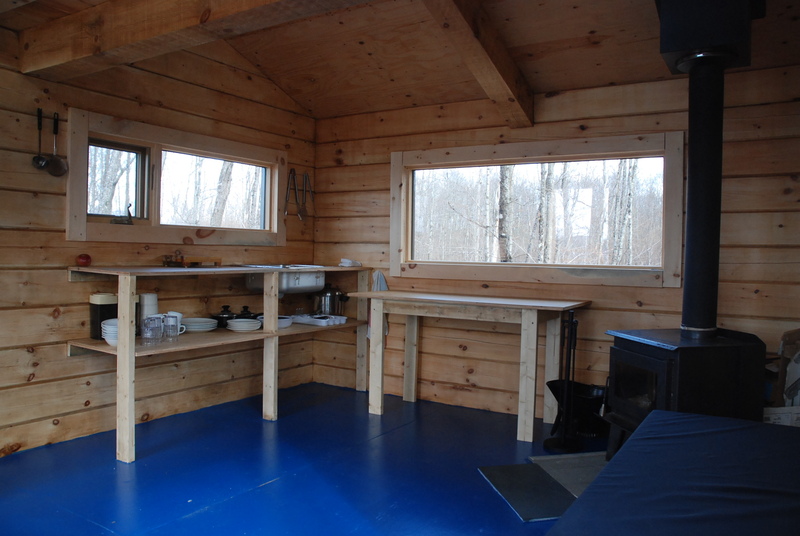 Shelters and huts offer a kitchenette with water tank, an outdoor dry toilet and, depending on the case, a shower. 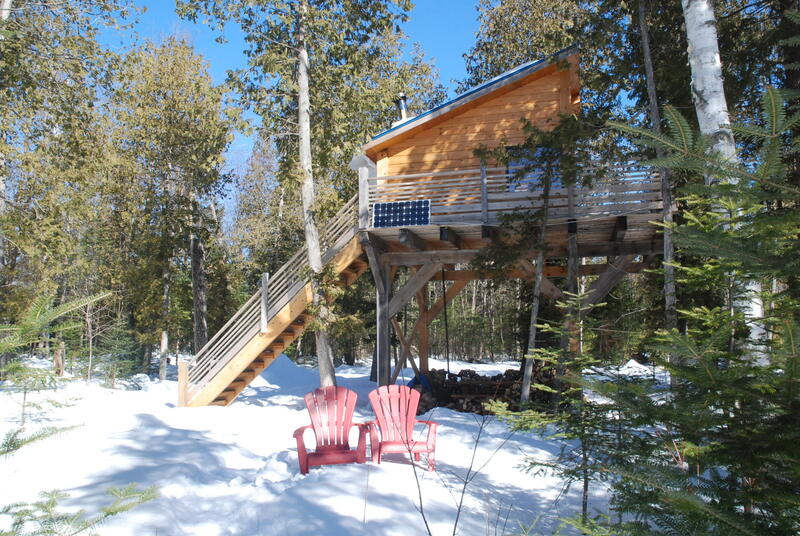 All of our shelters are accessible by walk in the summer and with snowshoes in the winter. 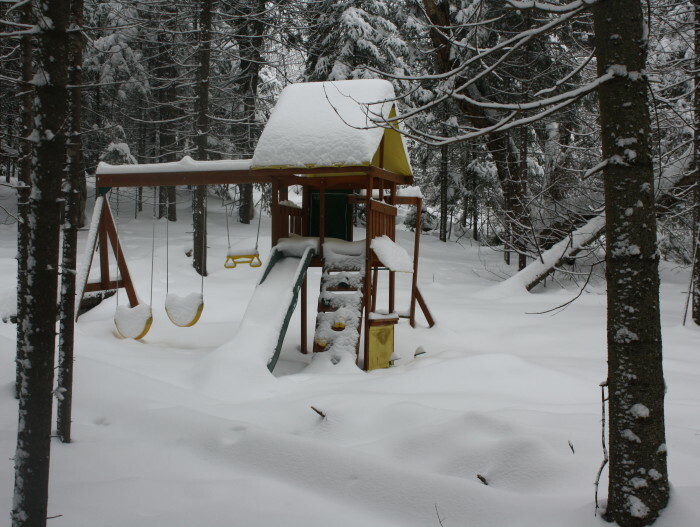 Some sleigh or carts are available to help you carry your belonging from the car to the shelter. 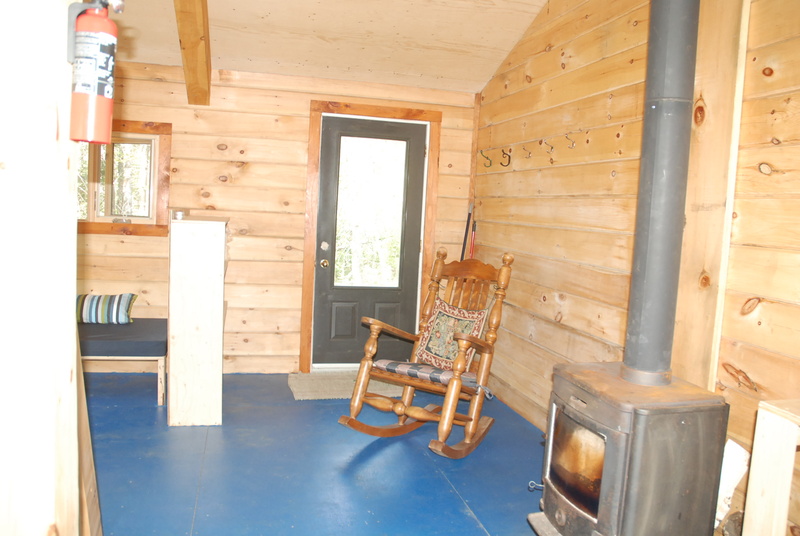 Only the big rustic cottage is accessible by car in summer . 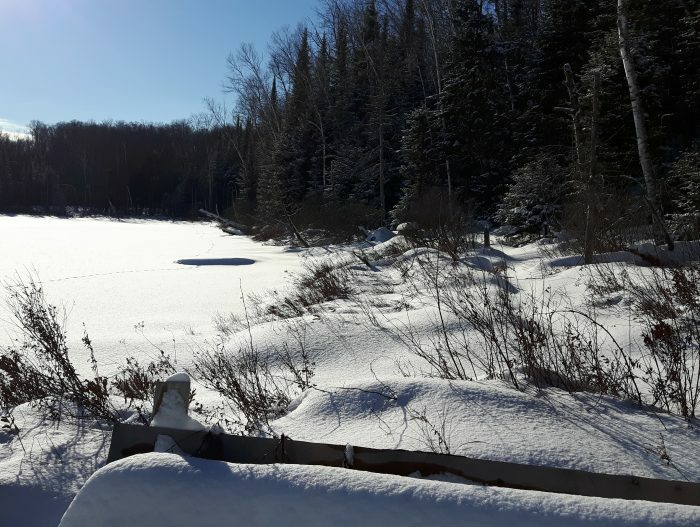 In winter, you need to park at winter parking. 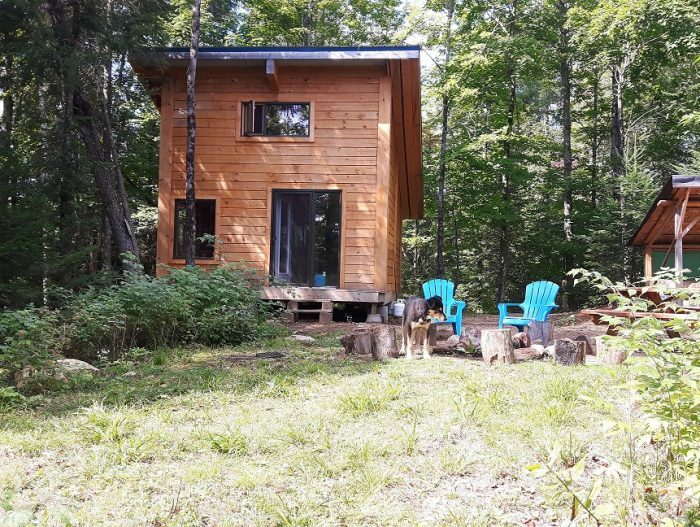 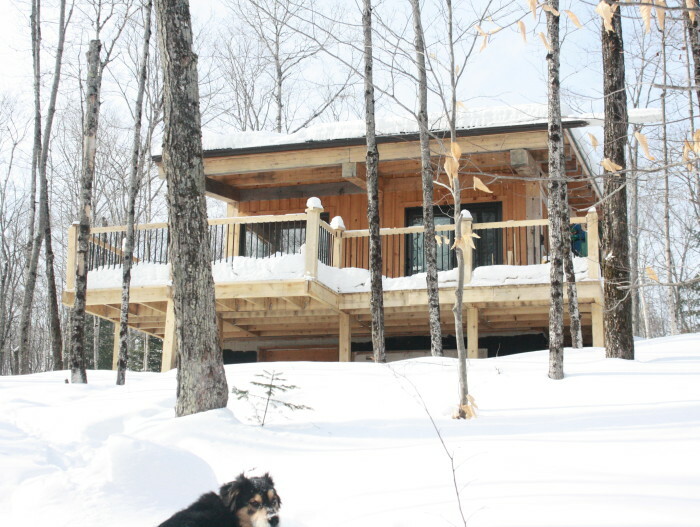 This rustic cottage can host 4 to 8 people. 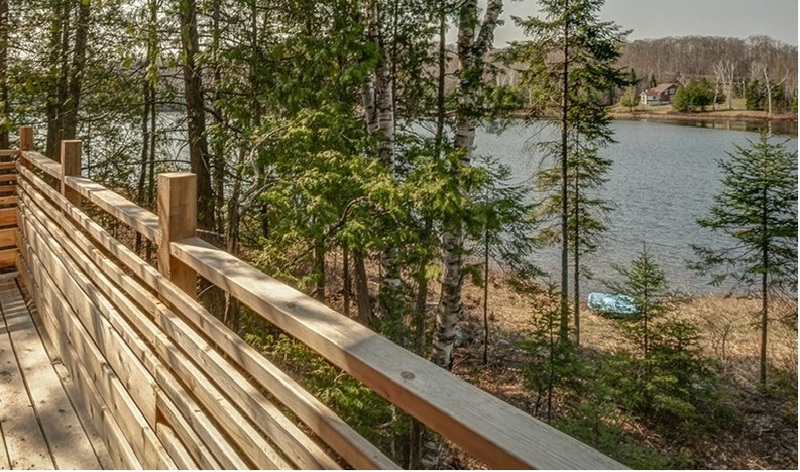 Located in a beautiful maple tree forest, the terrace overlooks the Démélé lake. 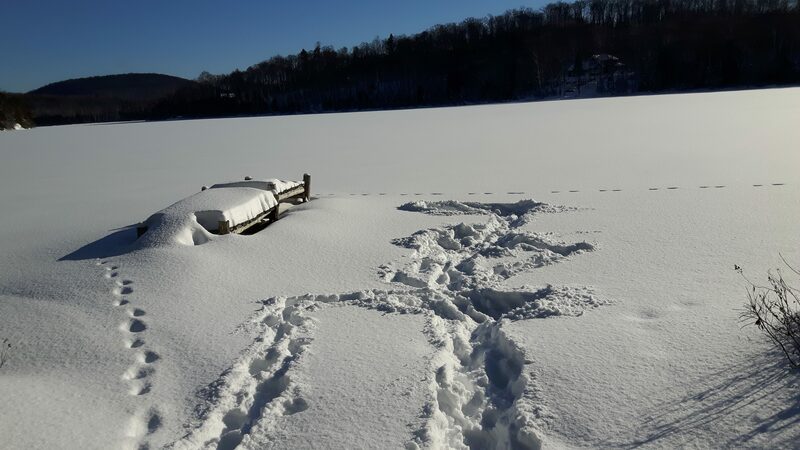 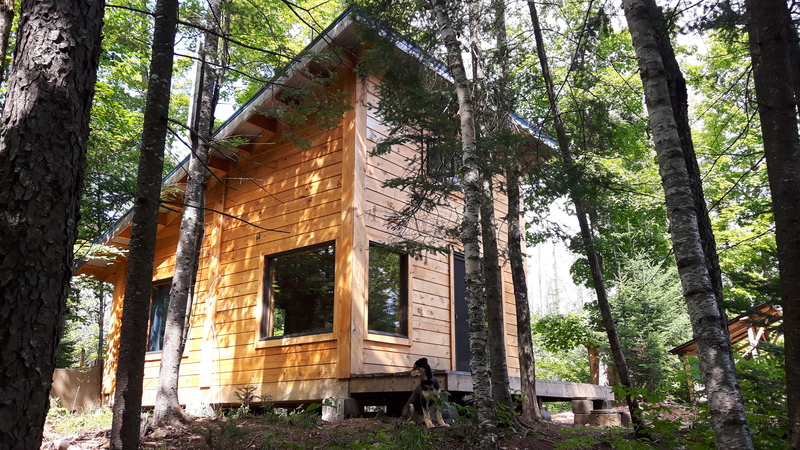 This 4 season cottage will receive you warmly in the the winter season for winter activities in the snow and in the summer with the lake and forest. 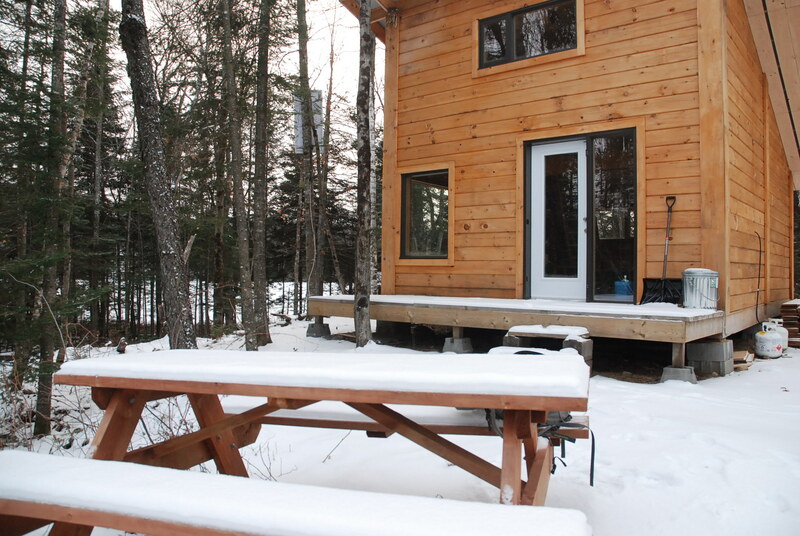 An outside fireplace will gather everybody around in a magical atmosphere. 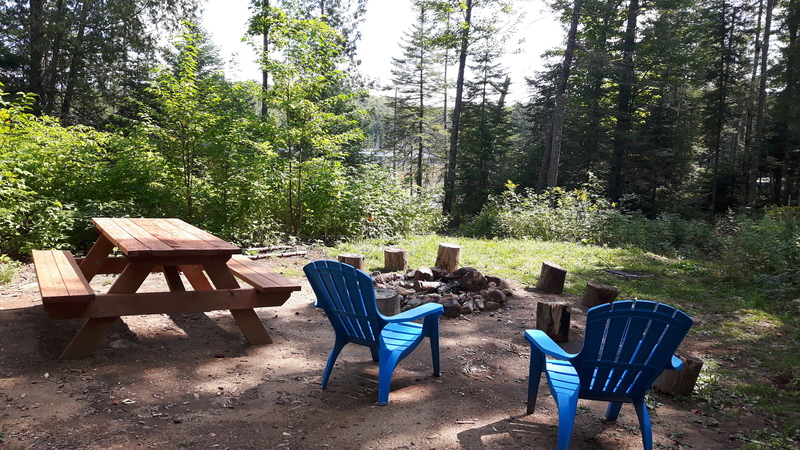 You can also use the barbecue to cook a good meal on the terrace that overlook the Démélé lake. 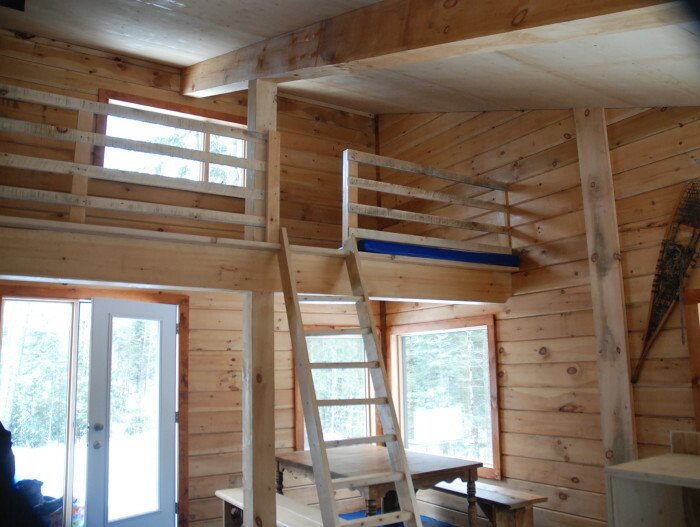 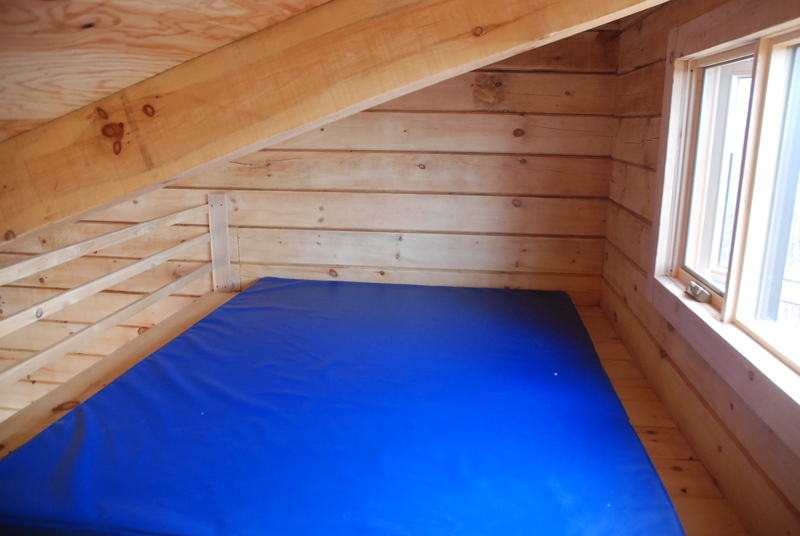 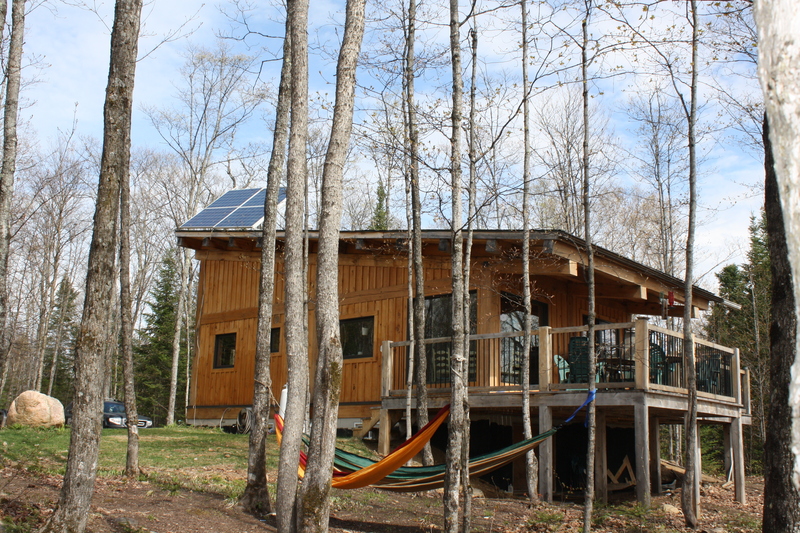 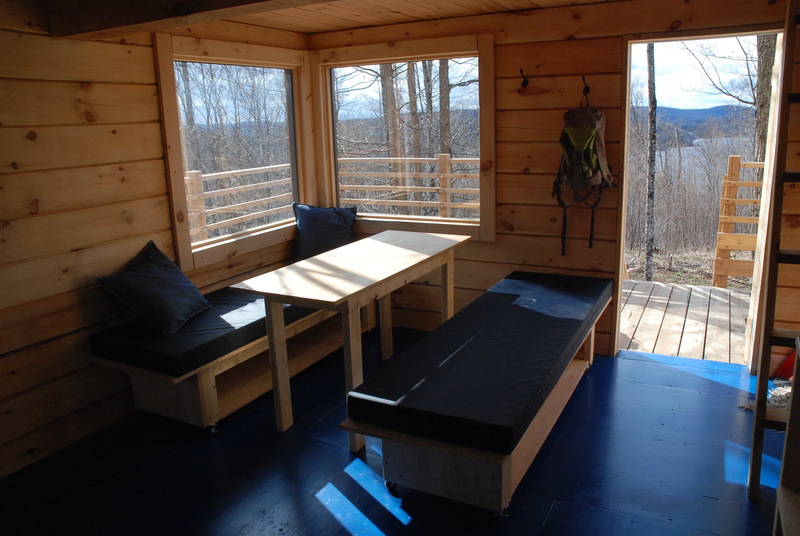 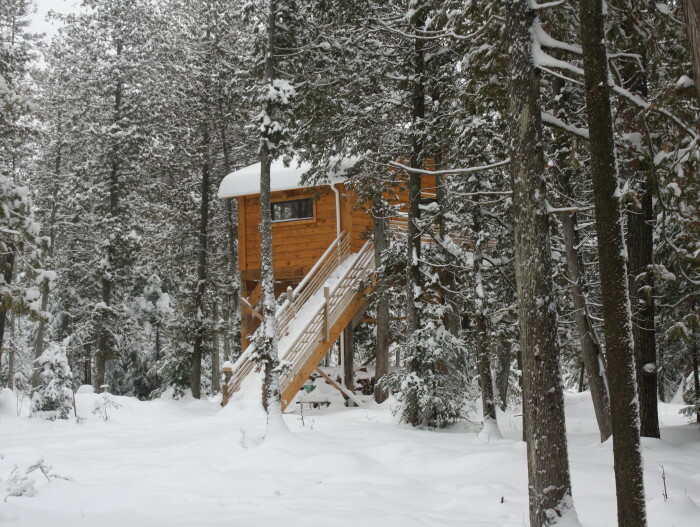 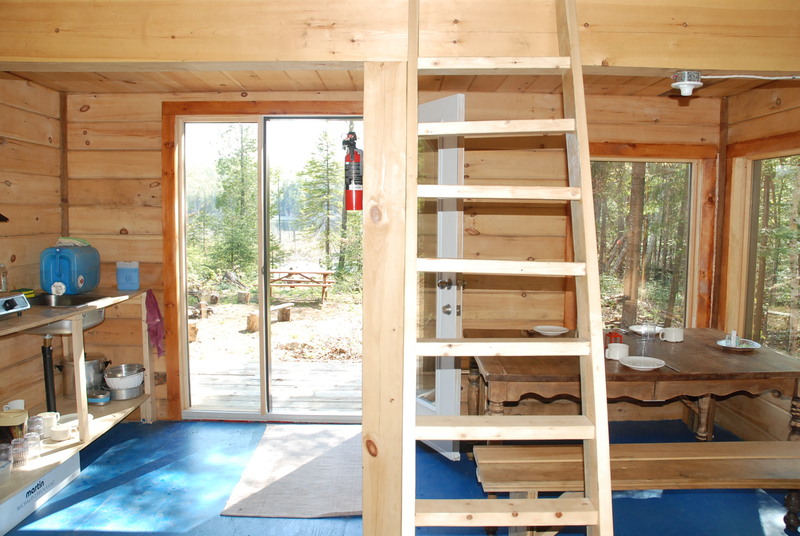 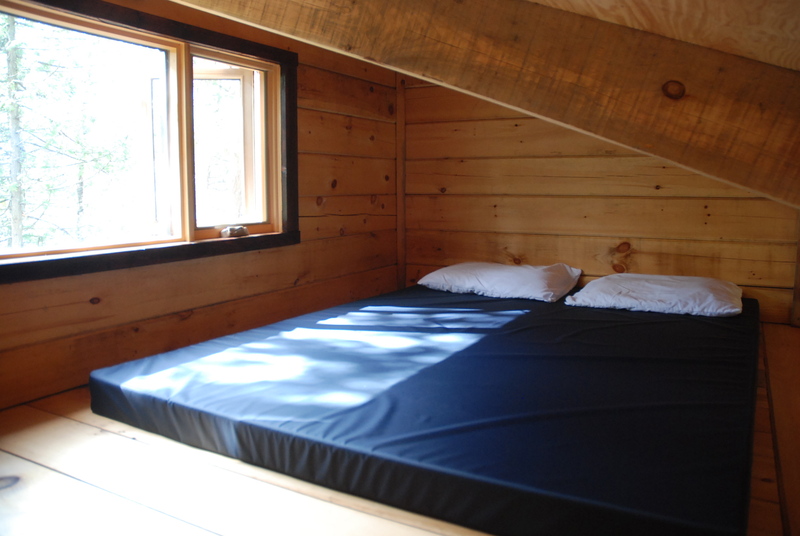 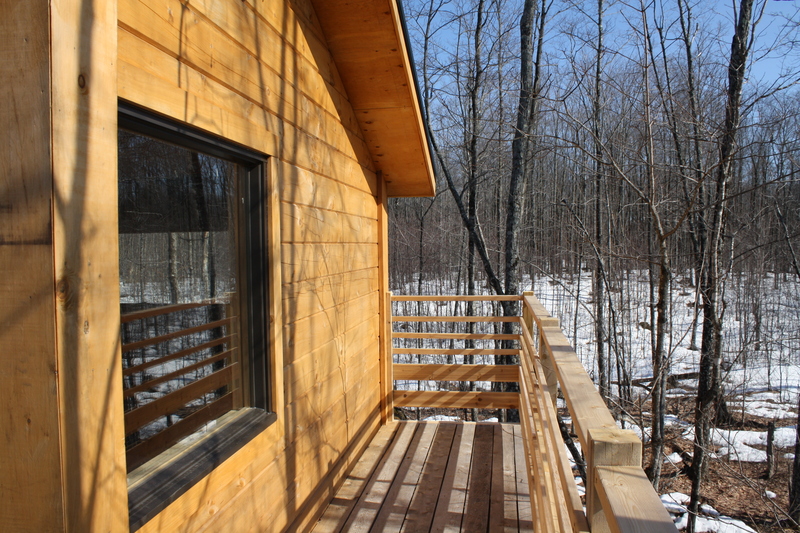 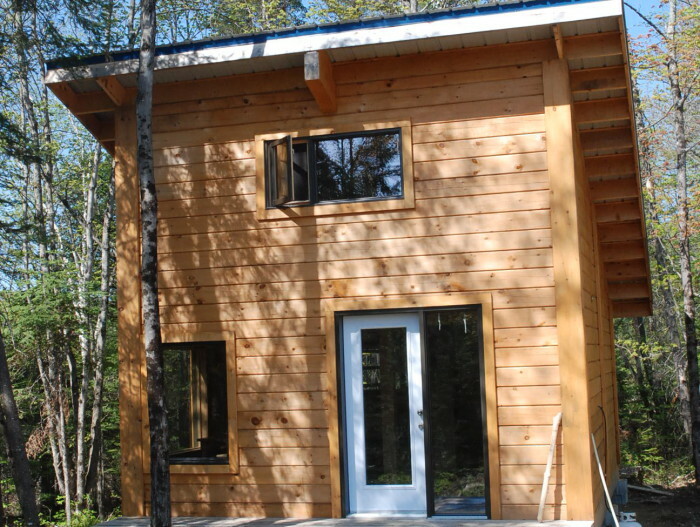 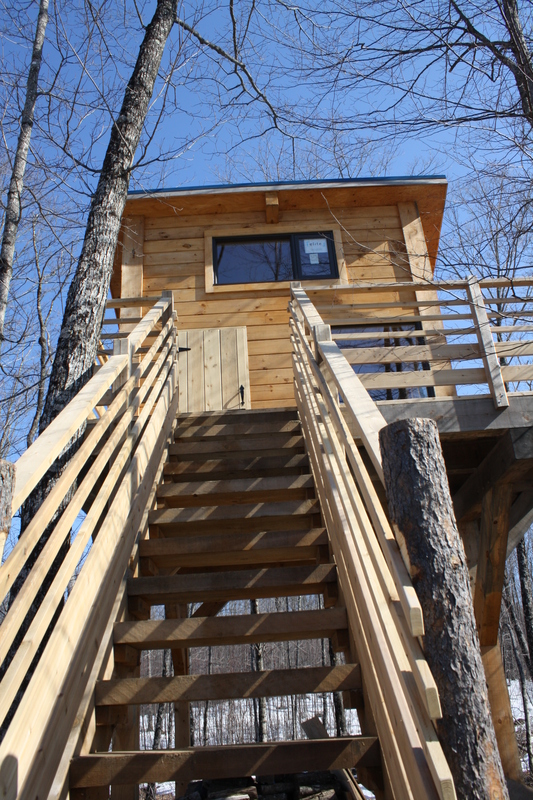 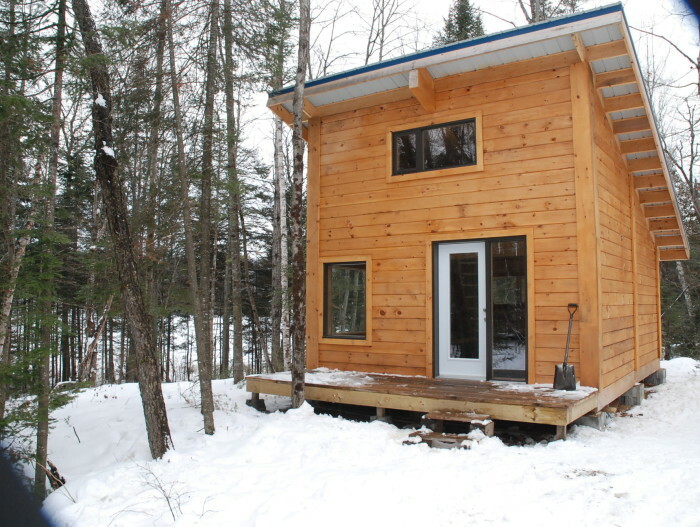 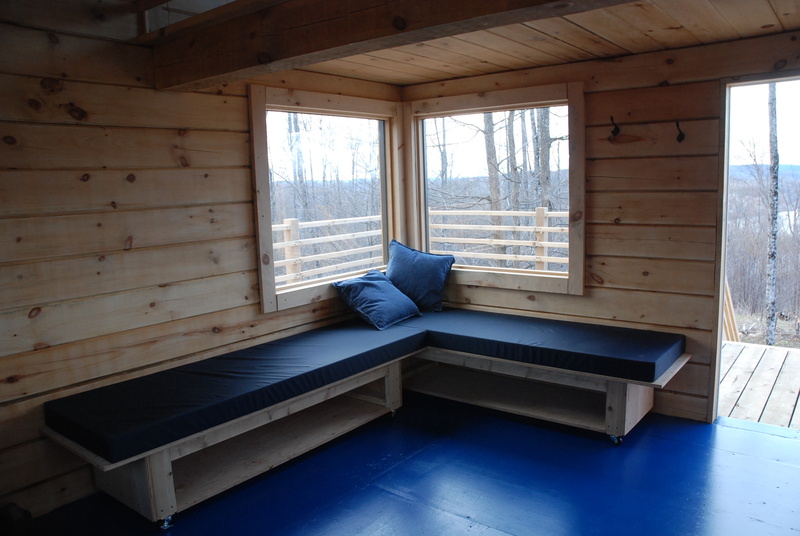 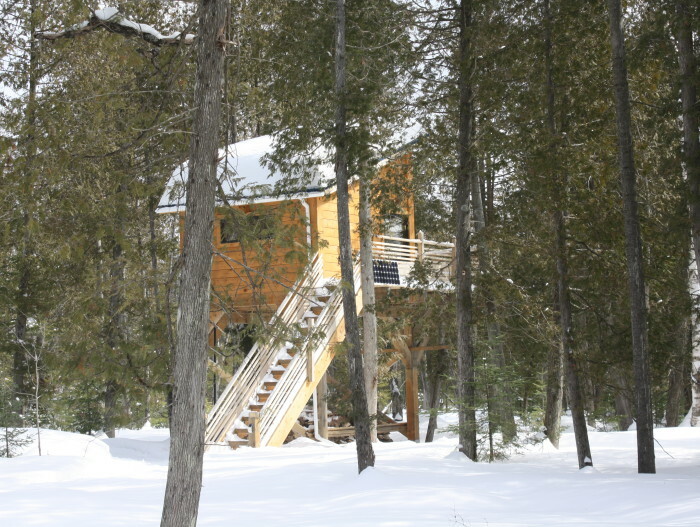 The cabin is accessible by car in the summer and in the winter if the weather allows it. 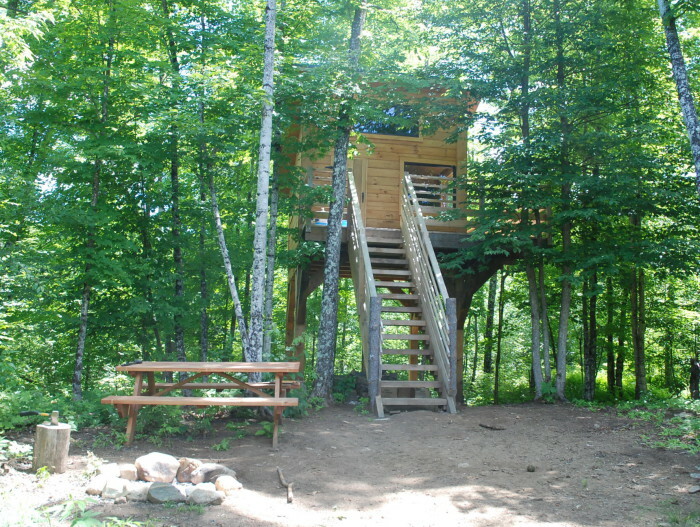 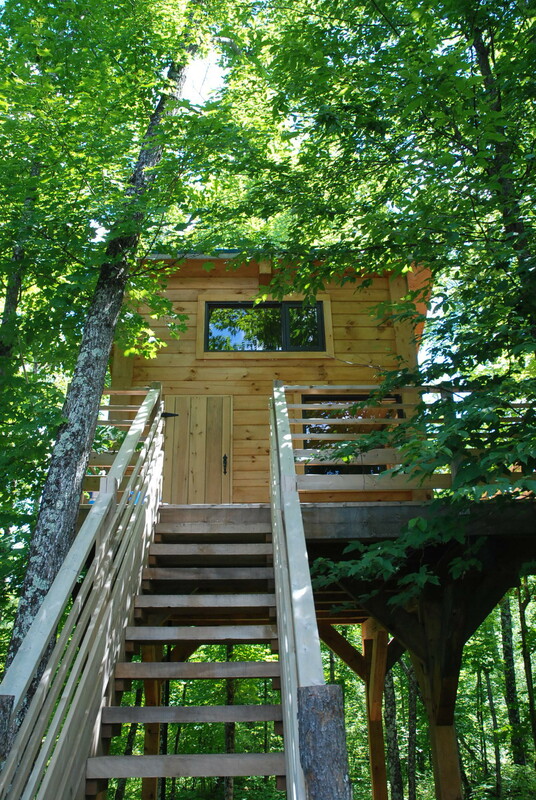 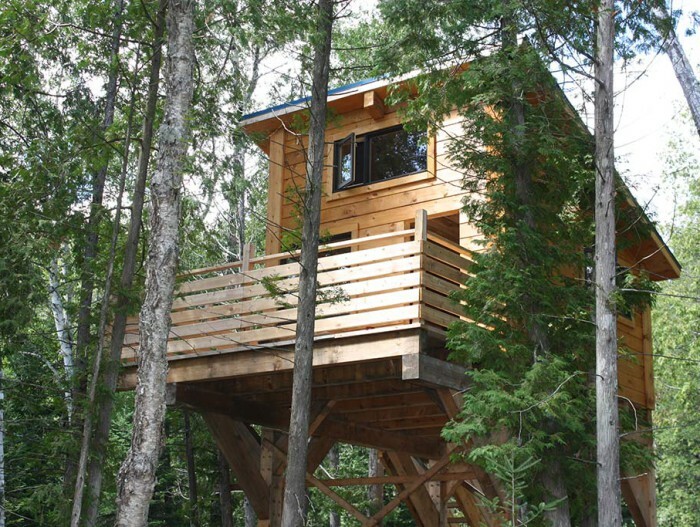 This treehouse style shelter is builded on stilts. 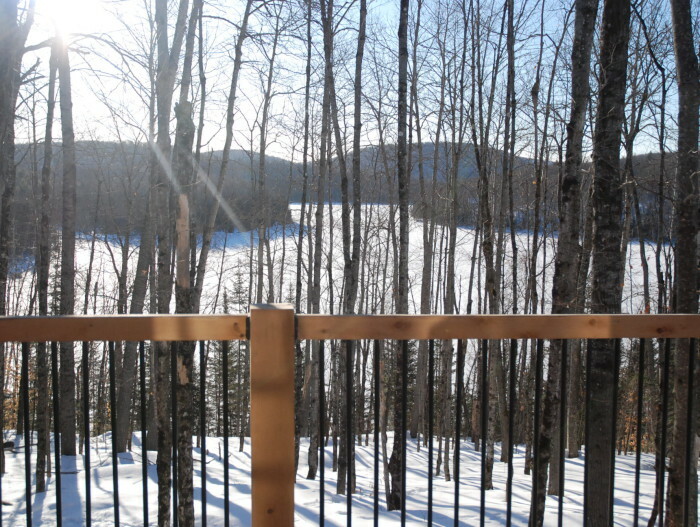 At 12 feets in the air, surrounded by cedar trees, the view on the Démélé lake is magical. 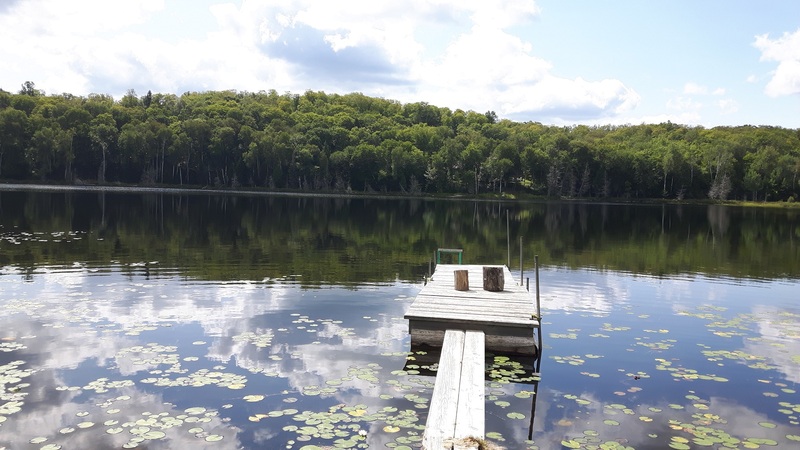 This charming shelter gives you an amazing view on the lake and on loonies and all kind of beautiful birds.. For a trip you will always remember! 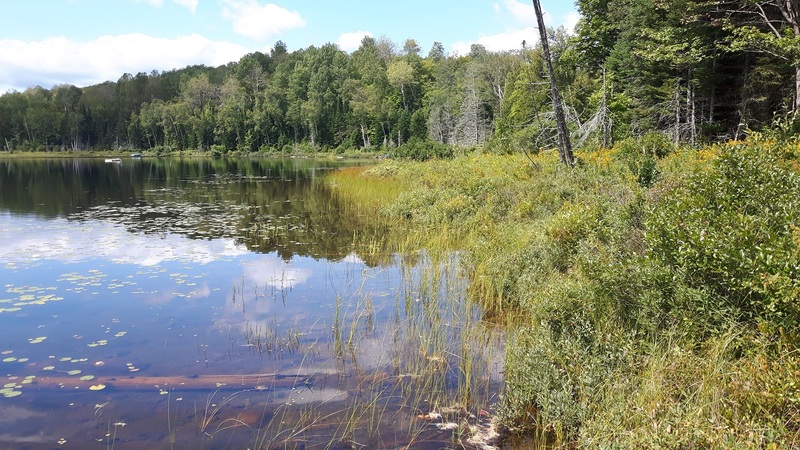 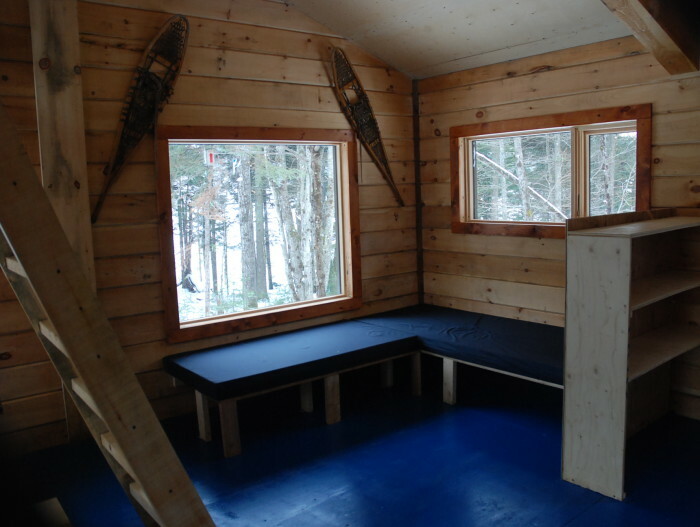 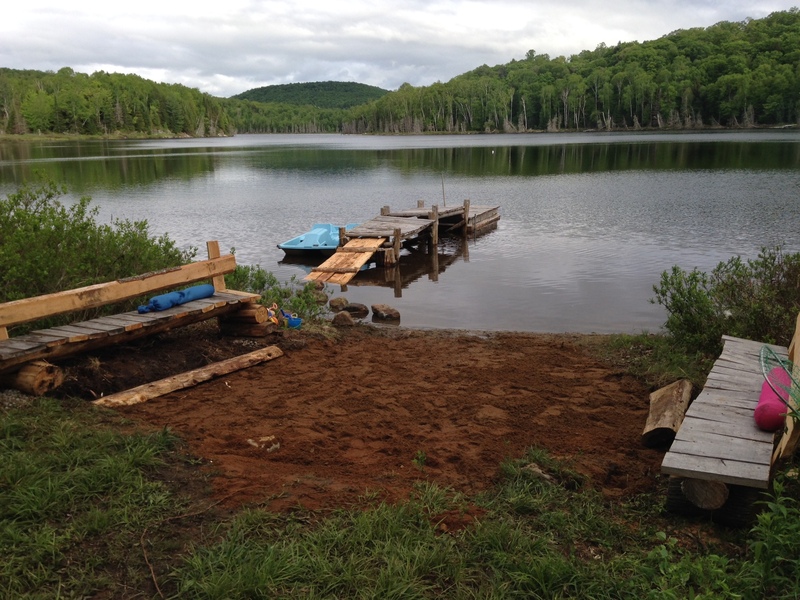 The shelter is located close to the Délélé lake where you can swim, go fishing (with a fishing license) and use the canoe. 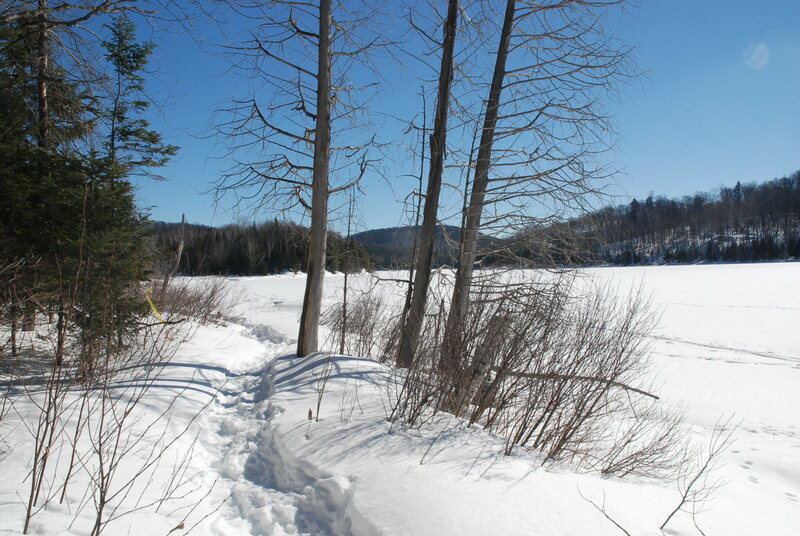 In the winter you are right next to a trail for snowshoe and cross country skiing. 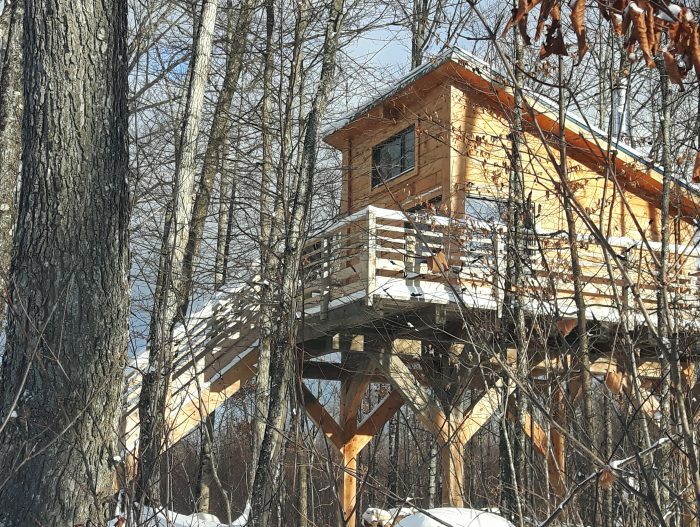 Located between 2 lakes, at the end of a beautiful trail, this shelter will give you a unique trip filled with relaxation in the calm of the nature. 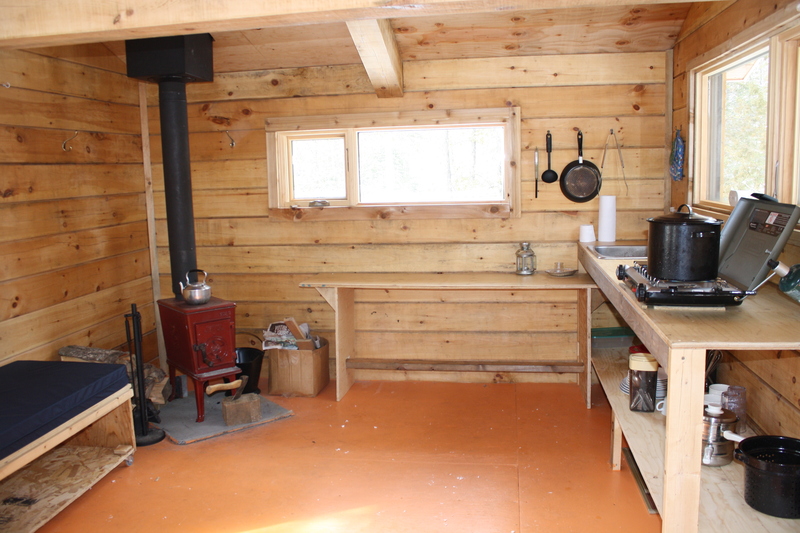 There is no running water but we provide tanks of 20 litres for your cooking and dishes purposes. 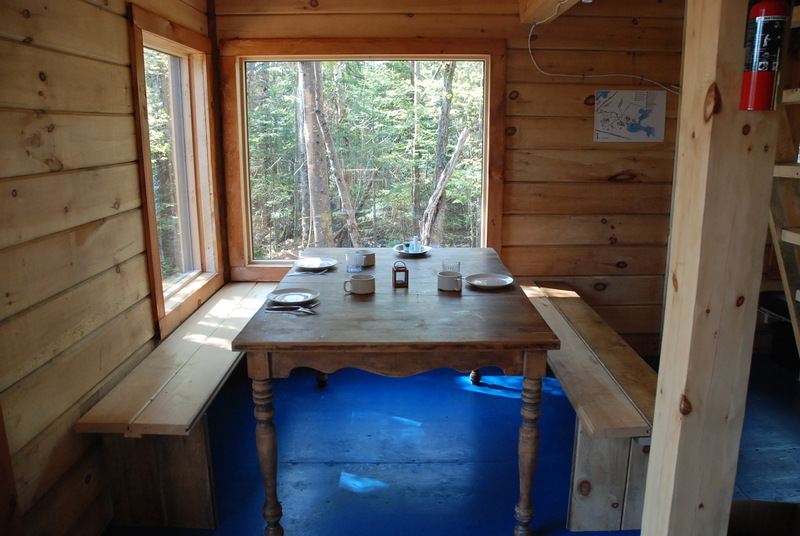 Dry bathrooms are located outside, close to the cabin. 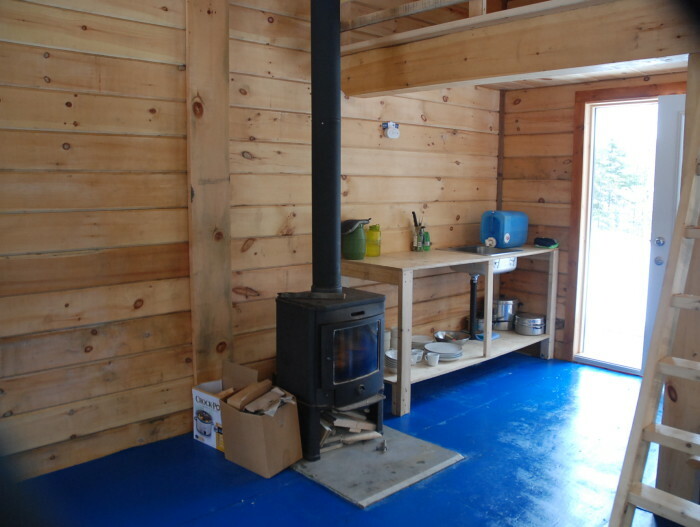 A fireplace will warm up the shelter when the temperature goes down. 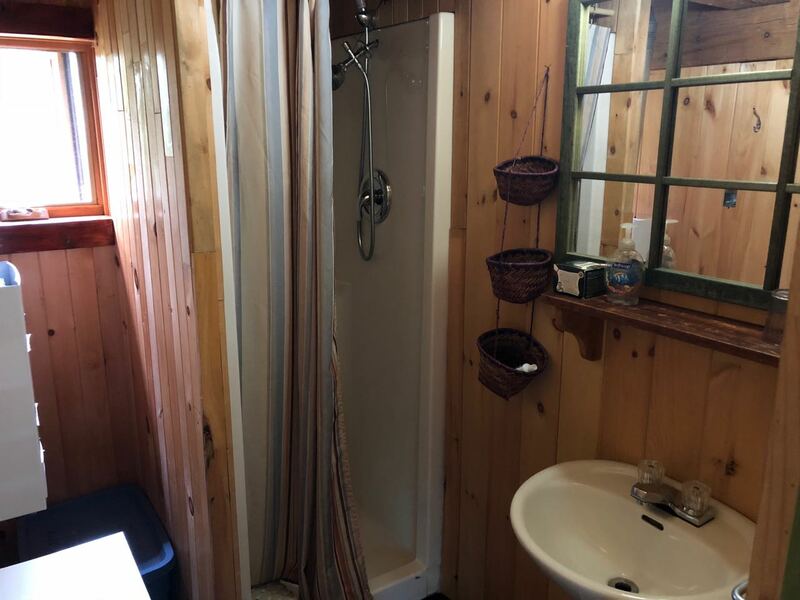 a rustic indoor shower is available. 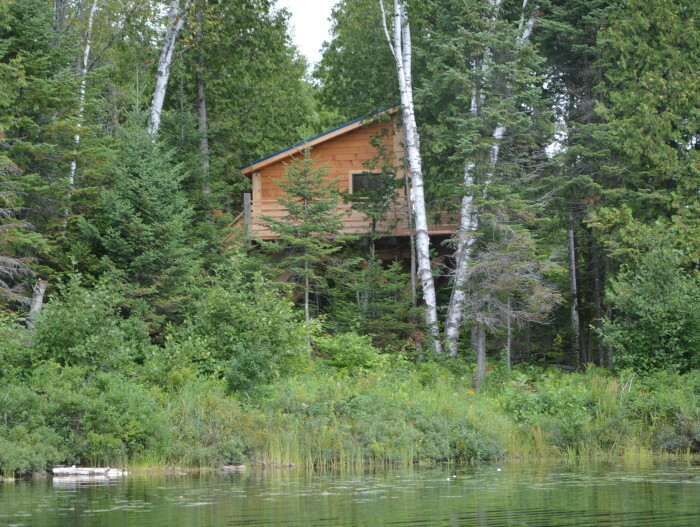 The shelter is located close to the Démélé lake where you can swim, go fishing (with a fishing license) and use the canoe. 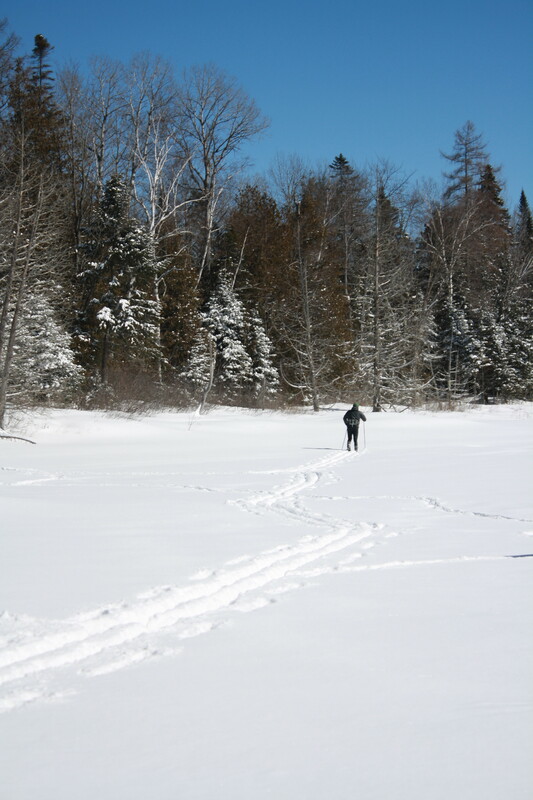 In the winter you can hike with snowshoes and do cross country skiing. 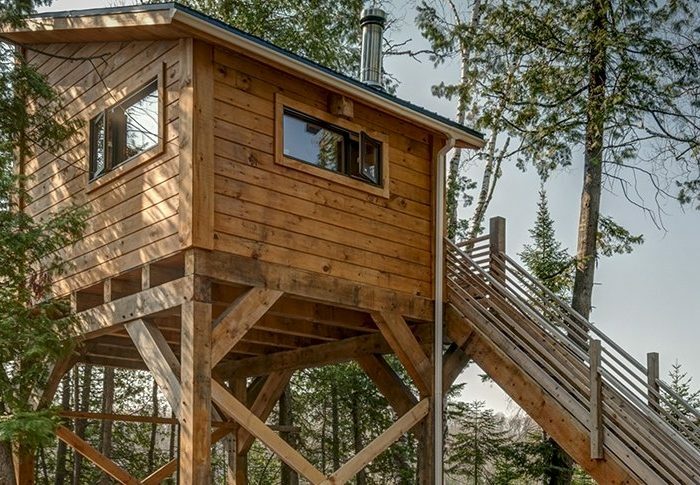 This treehouse style shelter is builded on stilts. 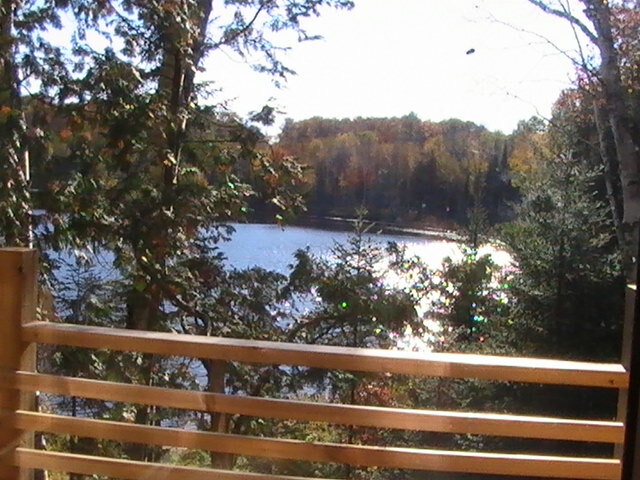 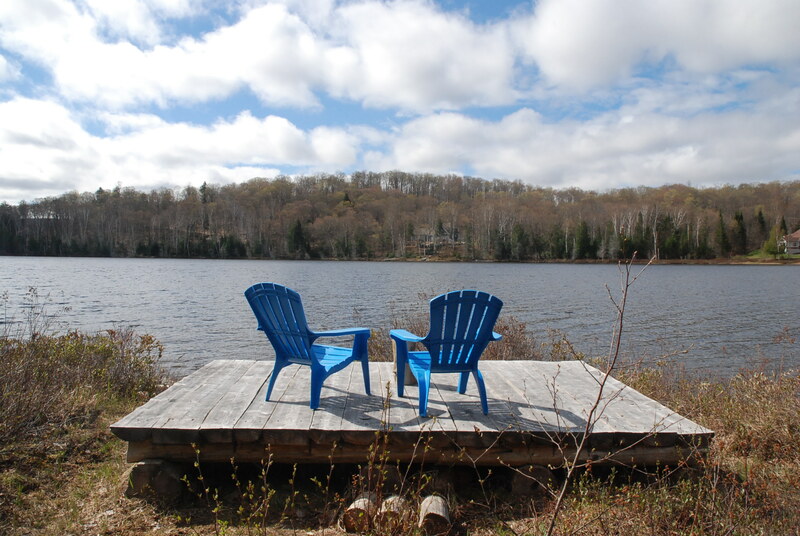 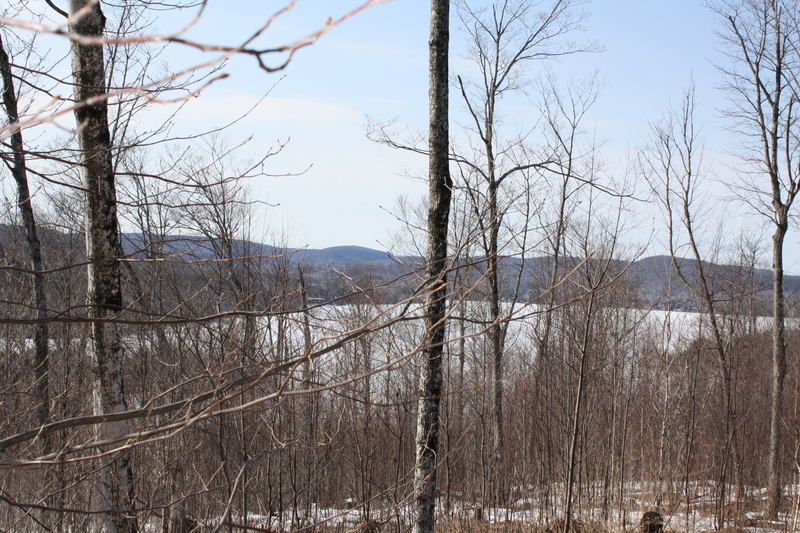 At 12 feets in the air, it overlooks the Cameron lake with a beautiful view. 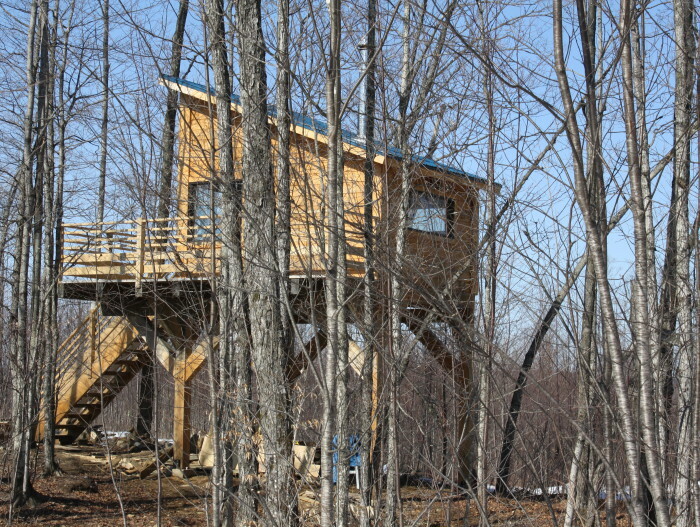 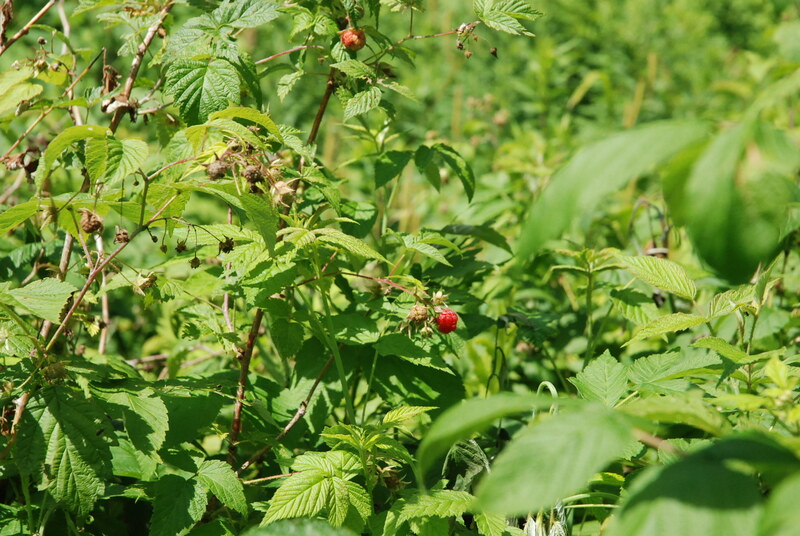 The shelter is located on the top of the mountain, on the border of a maple tree forest (non-exploited). 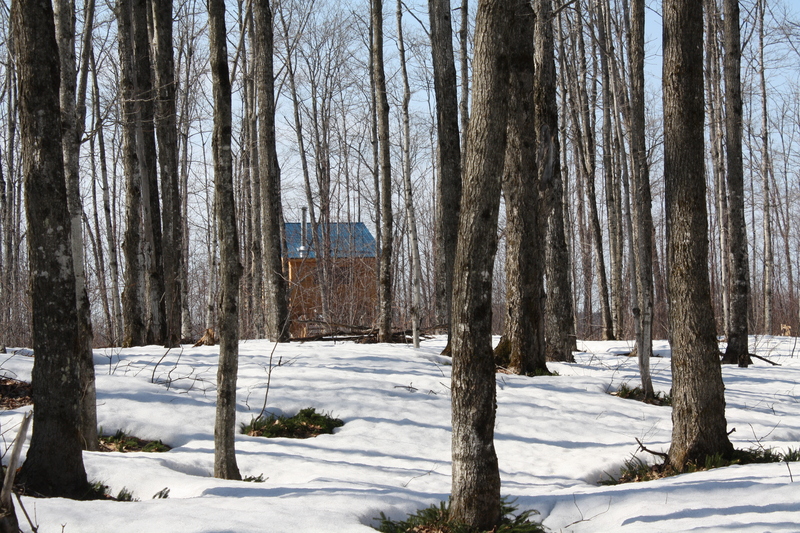 You will find there all the peace and quiet of the forest. 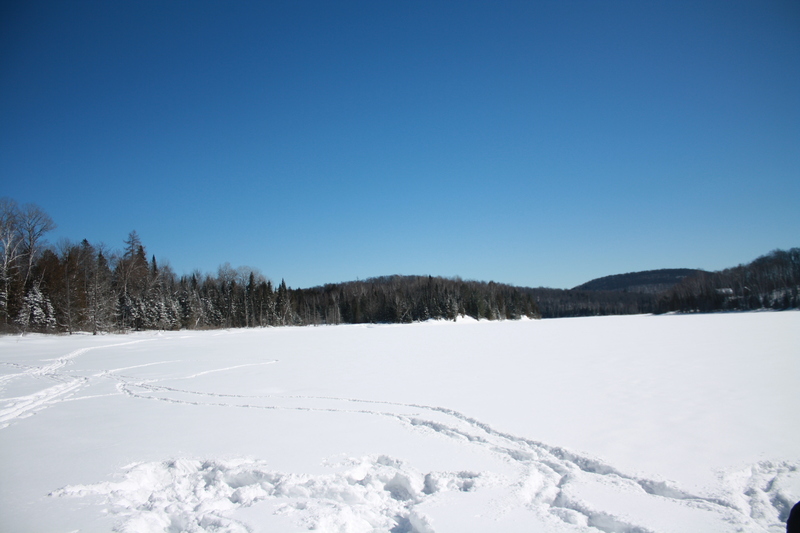 A trail will take you from the shelter to the lake with a beautiful trail in about 10 minutes. 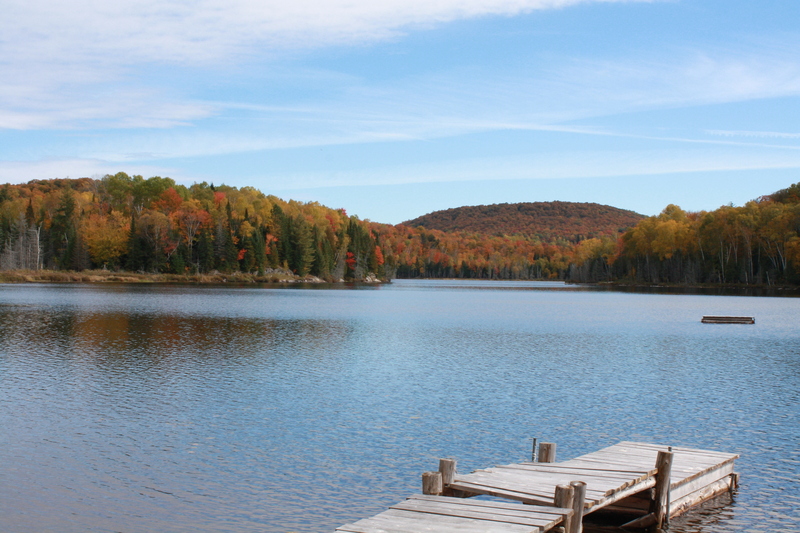 There you can swim, go fishing (with a fishing licence) or use the canoe.